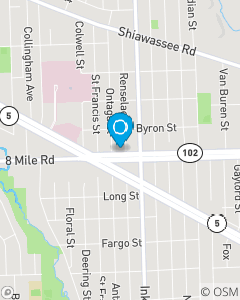 2 blocks West of the the 4 city corner of Soutfield, Redford, Livonia & Farmington Hills MI. Our mission is to become your first choice for all of your insurance needs by establishing a personal relationship with you and helping you understand the risks you face every day. We focus on Auto Insurance, Home Insurance, Renters Insurance and Life Insurance throughout the Farmington Hills area including Livonia, MI. When the unfortunate incidents occur we pledge to be there to assist you through the good & the bad. You are our only reason for being here.